Pictured, the life saving antidote, Narcan, that Butler County Ohio Sheriff Richard Jones refuses to allow his officers carry. Why Butler County Ohio Sheriff Richard Jones refuses to allow his officers to carry life saving drug overdose antidote, Narcan. 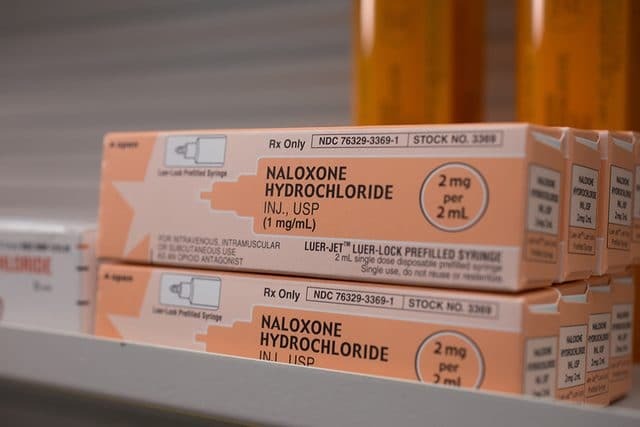 Despite a surge of opiod and heroin addiction in the community, Butler County Ohio Sheriff Richard Jones continues to refuse carrying a four milligram dose of life saving overdose antidote, Narcan which could save the lives of many. At a cost of a $37.50 a capsule, Jones refuses to allow Ohio county deputies to carry the antidote, saying it is too expensive along with safety concerns. Narcan, a brand name for the generic nasal spray naloxone, reverses the opioid’s effects to buy the body time for help to arrive. Naloxone kits reversed more than 26,000 overdoses from 1996 to mid-2014, per the CDC. Pictured, Butler County Ohio Sheriff Richard Jones. And Jones’ Butler County is grimly familiar with the nationwide opioid crisis: Of a reported 453 cases investigated by its coroner last year, 192 were overdoses. A claim that doesn’t pass muster with one detective from Massachusetts’ Quincy Police Department, the nation’s first department to equip its officers with Narcan. ‘We have never had an officer sustain a serious injury or any injury resulting in an injury report being filed or assault charges,’ Detective Lt. Patrick Glynn told the Cincinnati Enquirer. A reality check that Butler County Ohio Sheriff Richard Jones might want to think about. Image via Centers for Disease Control and Prevention. As for the sheriff’s claim that routine doses of naloxone are ‘sucking the taxpayers dry,’ a grant program run through the Ohio Department of Mental Health and Addiction Services aids county health departments’ access to Narcan. The sheriff, who has long held his anti-Narcan stance, generated new headlines this week while sounding off on Middletown City Council member Dan Picard (Republican), who’d suggested emergency workers refuse care to people who overdosed three or more times. Middletown EMTs will continue helping victims of overdose, city officials said. Welcome to a brave new America where someday into the future police and paramedics will check to see if you’re a God worshipping devout Christian, non drug using individual before they decide whether to save your life or not…. 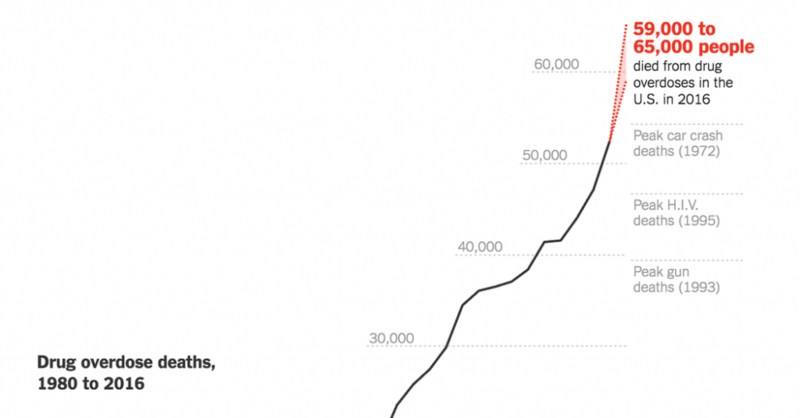 Drug overdose deaths in the United States between 1980 to 2016. So why is Butler County Ohio Sheriff Richard Jones along with local lawmakers really refusing to come to terms with statistics and insisting on branding their special brand of moral virtues? Is drug addiction a choice or a medical disease? Does anyone willfully choose to become a drug addict and possible drug overdose death? Above graphs via Centers for DiseaseControl and Prevention.